Video processing is something most folks don’t think about. Most video processing happens behind the scenes, before you view a YouTube video or Blu-Ray. The folks who make those videos, however, don’t have that luxury. That’s what tools like VideoProc are for: rapid, high-end processing of video from one codec or container file to another. VideoProc offers dozen of preset export formats. You’ll find the greatest hits of container formats here, like MP4, MOV, AVI, MKV, DIVX, WebM, WMV, MPEG2, and too many others to list. Video codecs are plentiful as well, including must-haves like H.264, HEVC (H.265), and VP8, as well as lesser-used codecs required for compatibility with older devices. For example, when processing video for a DVD, Video Pro outputs video using the appropriate NTSC or PAL video codecs and structure. Videos can be up to 4K on input or output. Raising the resolution of a video file requires significant interpolation, of course, so you can expect some blur and artifacts. Before files are processed, they can also be edited. 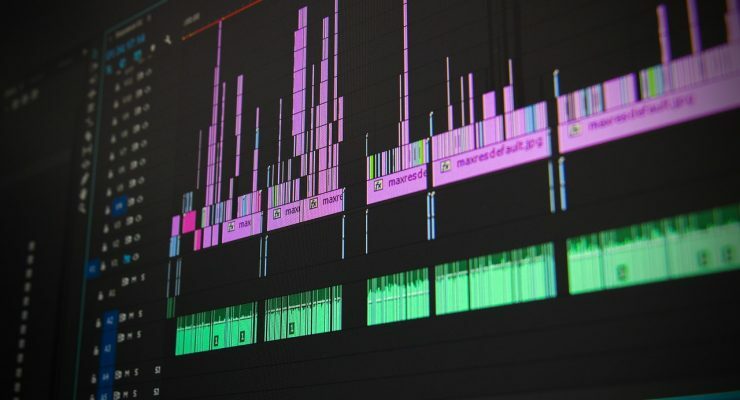 Trim the clip to just the desired part of the video, rotate the video by an arbitrary number of degrees, or merge video files together for single-file export. There’s a ton of options within VideoProc. Audio encoding options are also varied. Standard video choices like ACC and MP3 are available, alongside PCM, FLAC, and AC3. There are also several options for processing and exporting only audio. Audio can be exported as a sound-only track from any video, or audio-only files can be pulled into the app and processed that way. Finally, different video processing tools round out the application. Convert videos to GIFs, merge videos together, split a video clip up, record footage from your Mac’s screen, and download videos from sites like YouTube and Vimeo. Hardware acceleration uses features of your Mac’s processor and GPU to process video more efficiently and quickly. And the difference is massive: the Mac’s hardware acceleration can turn processing a 60-minute HD video from a 15-minute task to less than 2 minutes, which is a more than 85-percent reduction in processing time. Since only some codecs can benefit from this power, VideoProc supports anything using H.264 and HEVC. And because the Kaby Lake processors in the current MacBook Pro generation have special hardware support for this codecs, VideoProc’s hardware acceleration makes a massive difference. If you have an iPhone like a lot of Mac users, you’ll be pleased to know that VideoProc can also help you format video for your device properly. It’s also easy to import video into VideoProc on the Mac from your iPhone. It makes the software a useful tool for transitioning media files from the iPhone to the Mac, especially accounting for the unique codecs and container formats of iOS. For example, the iPhone cannot play FLV, MKV, or AVI videos natively. 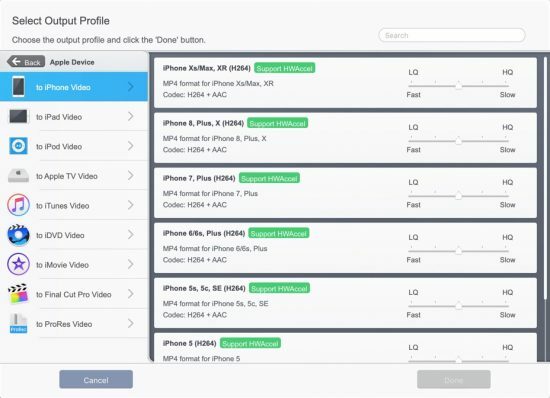 With VideoProc, you can quickly encode those files into the native MP4 files that the iPhone prefers. There are preset transfer tools available within VideoProc to easily translate the video into something your iPhone will play easily. This even works for movie-length content, allowing you to take new movies on the road with you and not blow up your storage. VideoProc solves other iPhone video problems too, from basic editing to downscaling to uploading. Win an iPhone XS and a Free License! In celebration of the release of VideoProc, the developer is giving away thousands of license codes, as well as AirPods, and iPhone XS, and more. The contest is valid until November 30, so enter the contest quickly! 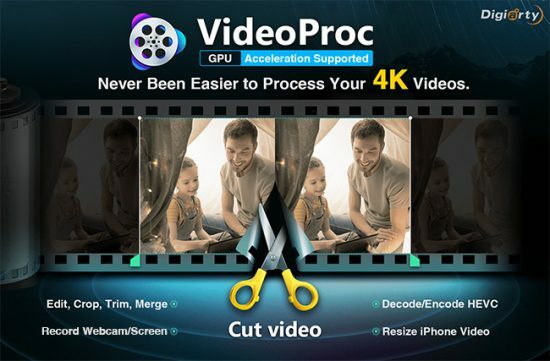 You can also download the free version of VideoProc to see for yourself.